3. Place sugar and egg white in a mixing bowl and start a electric mixer at slow speed stirring 2-3 minutes until sugar dissolves, set the bowl on stand mixer and whip the egg mixture until medium stiff (a short pointy peak a little bent form when the whisk head removed). 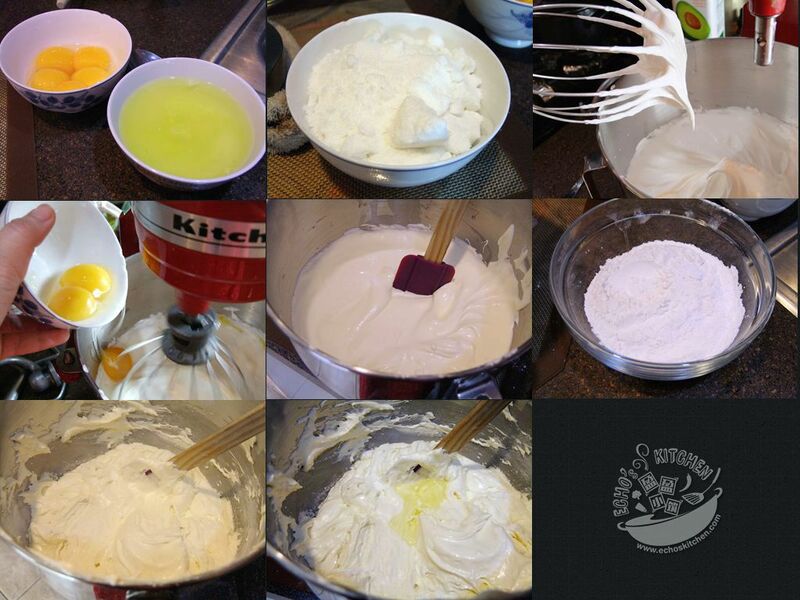 Turn the electric mixer to lower speed, add egg yolks slowly to incorporate into the egg whites. 4. Sieve together cake flour with baking powder, add the flour in 3 parts. Fold in the first one-third of the flour with a spatula by hand. Repeat until all flour incorporated, add 1 tbsp of oil and mix well using a spatula. 5. Line a bamboo steamer/bamboo basket with parchment paper, heat up a steamer/until water boiling and steamed occurred. 6. 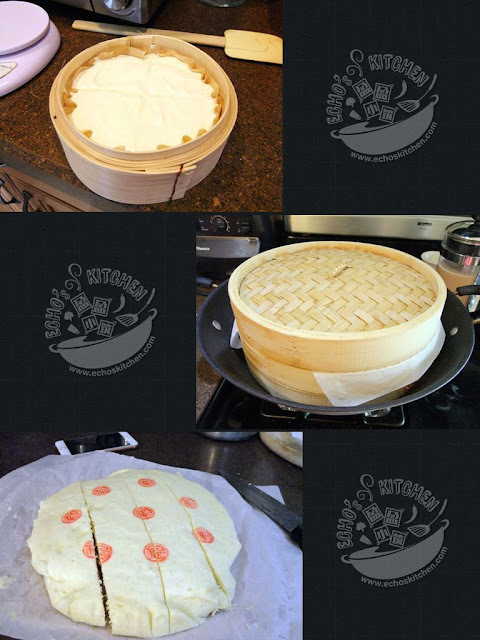 Put the batter in the lined bamboo steamer, steam for 30 minutes. Let it sit for 5 minutes on steamer after switching off the stove before removing from steamer. and thanks for the sharing. Thank you dear and welcome to my blog! May I know what is the size of your steamer? Thanks for the lovely recipe! My bamboo steamer is around 10-12 inches in diameter. Thanks for dropping by! In the English version, the instructions to incorporate the egg yolks is missing. Thanks... I will add it on now!